Desktop Publishing Supplies brand plastic hang tabs make it easy to add hang tabs to any product. Apply these to plastic bags, boxes, paper, and more. 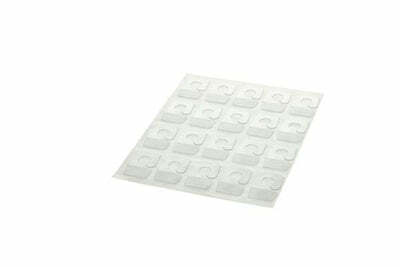 Simply peel these tabs off the backing sheet and stick to your product- that simple! Each hang tab measures 7/8" wide by 1 3/8" tall and the adhesive is just under 1/2"- allowing for a strong hold to your product.